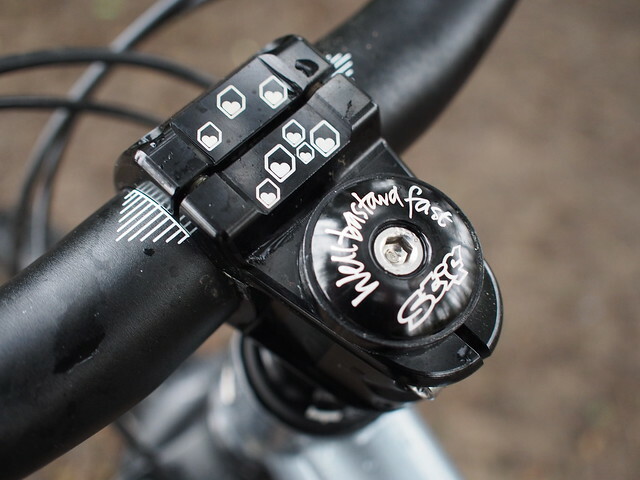 If you’ve been in to mountain biking for any length of time, and by that I mean over twenty years, you’ll remember gazing lovingly into the adverts in the back pages of MBUK and those undoubtedly included Stif. They’ve been around since the eighties when they were Stif Sailboards, selling mountain bikes to windsurfers for something to do when the wind wasn’t blowing. Much like many of the shops down this way back in the day. 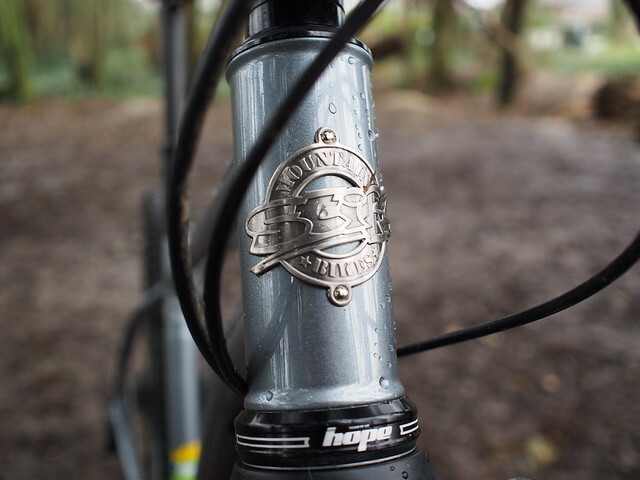 Stif joined forces with Brant Richards, renowned frame designer who has been behind many UK classics and definitely knows how to design a hardtail for our UK niche of long forks and deep mud. The result is the Stif Morf. 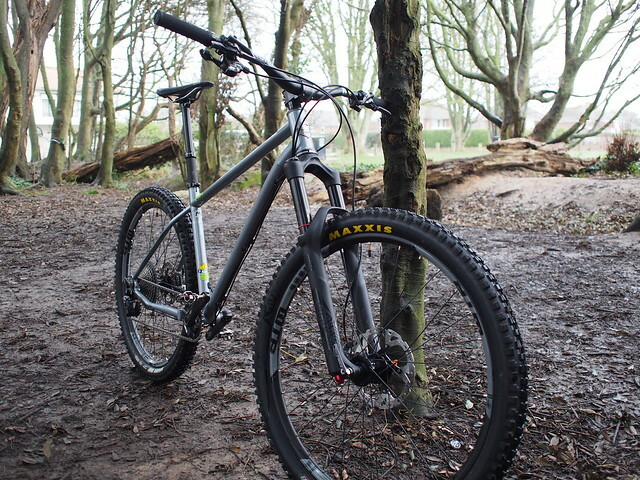 You can either pick the frame up for £499, or the complete XT build bike that I tried for £2199. 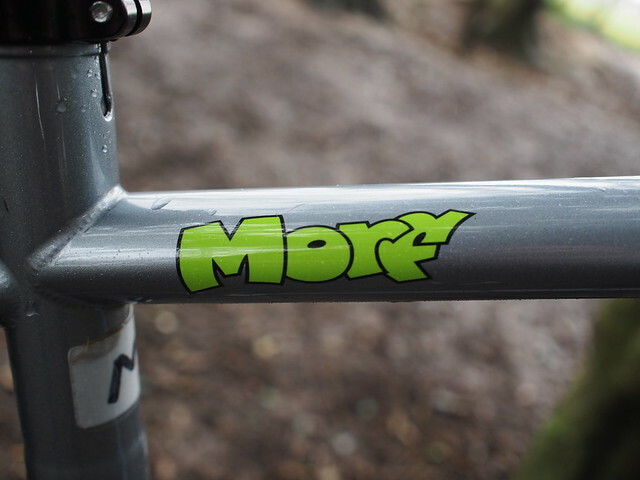 I’m a lover of slender steel tubing and the Morf is no exception to this, it turns heads and I’ve been surprised by how many people can’t resist just running a hand across it when it’s leant up somewhere, very amusing! I guess quite a few people will buy the frame and build it up from the extras bin, but I must say as a full build it ticks all the boxes for me. 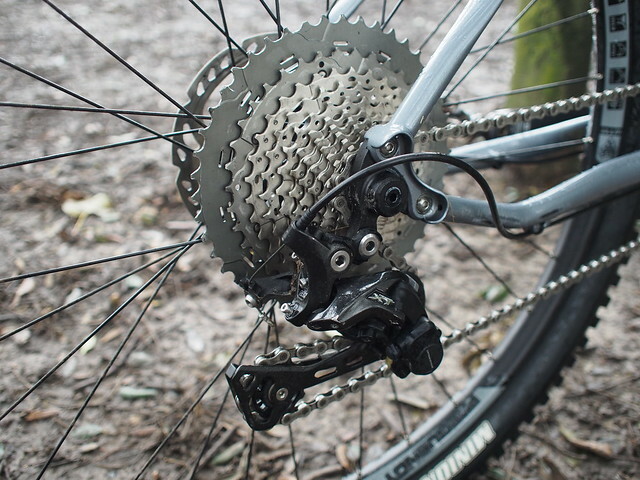 I make no secret of the fact that I’m a Shimano man, indeed all my bikes are XT or XTR, so I felt right at home on the Morf with it’s full XT build. 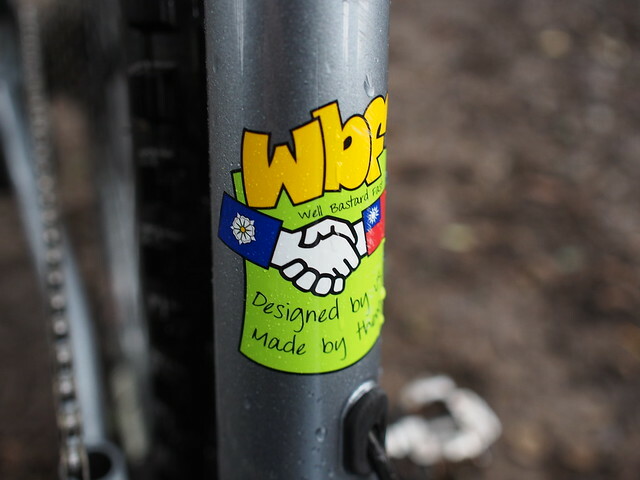 Other UK friendly options are the Hope hubs and headset, all solid dependable stuff. 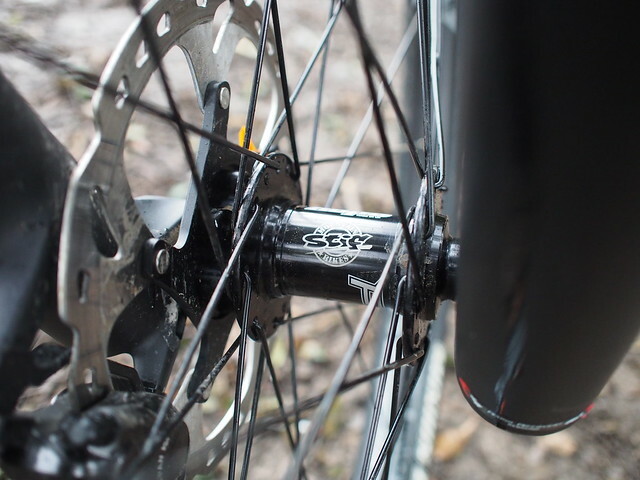 The dropper is a KS Lev Si, which again I don’t know about the long term durability of compared to some others, but I will say I had this bike for two weeks of awful conditions and it was still running smoothly at the end of it, so that must be a good sign. 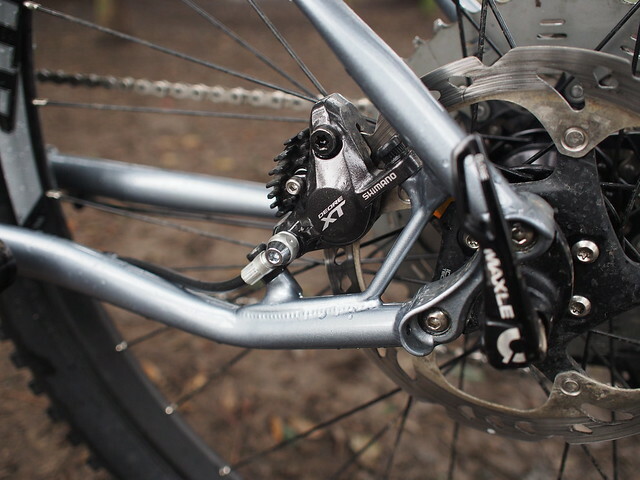 The other thing I love is full length cable outers and no internal routing, except for the final part of the dropper post cable. 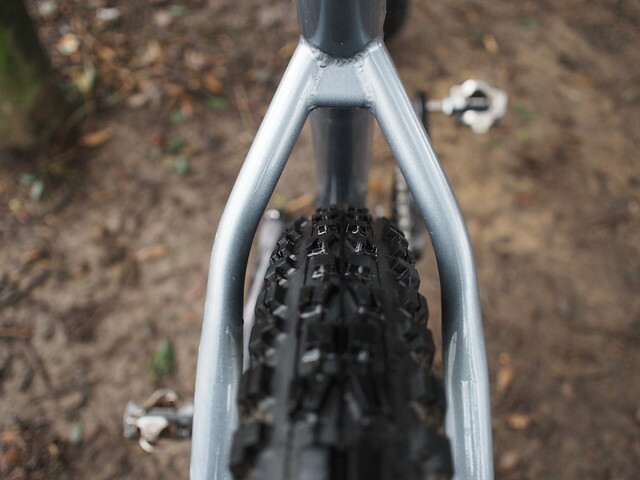 My only real gripe was in the tyres, Maxxis Minion DHF, which are a great tyre, but I’m really not sure about running one on the back as well. It was quite unpredictable and led to a few rather sketchy moments on the trail. Although once I’d dropped the pressure a bit it did become a bit better, but I felt I was walking a tightrope between grip and the risk of rim strikes. I think I’d have preferred a High Roller out back. Over the course of fourteen days I’ve ridden it eleven times and covered 136 miles in a variety of trail types and I’d love to say a variety of weather too, but it has largely been crap! However it’s a great test for a bike like this, a lot of people will probably buy one as an alternative to trashing their full suss bike over the winter and I can say it gets a big thumbs up. Plenty of room for mud clearance, it didn’t clog up on me once and trust me, it saw some mud! Being of the new breed of long/low/slack bikes I was interested to see just how it would go as an all rounder as it is aimed at the aggressive riding end of the market. Well I’m pleased to say it climbs really well too, the long front and the steep seat angle do a great job of keeping the front wheel down, even on steeper climbs. But how does it perform on the downhills? I know you all want to know the answer to this, well you wont be disappointed by the Morf. It encouraged an outbreak of lunacy I’ve not experienced for a while! 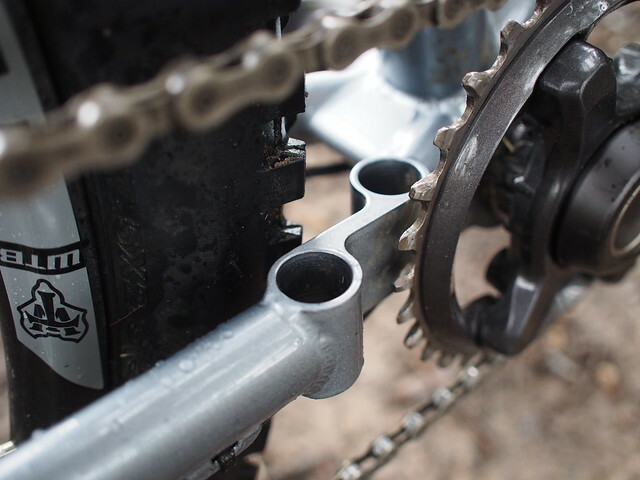 The short chainstays mean it is just a manual machine and on flowy trails it just pumps and manuals its way along leaving you smiling. Steeper trails are also handled easily, I initially thought the 130mm fork might be a little on the short side for a bike like this, but after a few initial niggles getting the forks air pressure correct for me and sorting the compression damping the bike felt just right and I didn’t really feel like I was ever wishing for a longer fork travel. Although over enthusiasm did leave me upside down in the bushes a few times!! 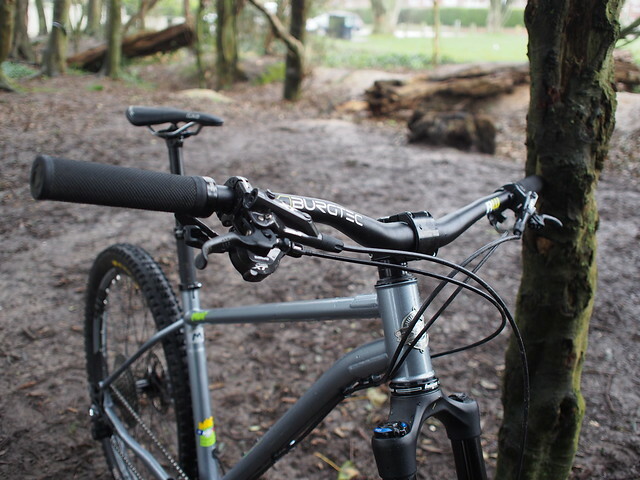 I also used the Morf for coaching an MTB skills session, which I wouldn’t normally do on anything other than my own bike, but I felt so at home on it I had no issues giving it a go. So all in all it gets a big thumbs up from me, it looks great, the slender steel tubes are classy. 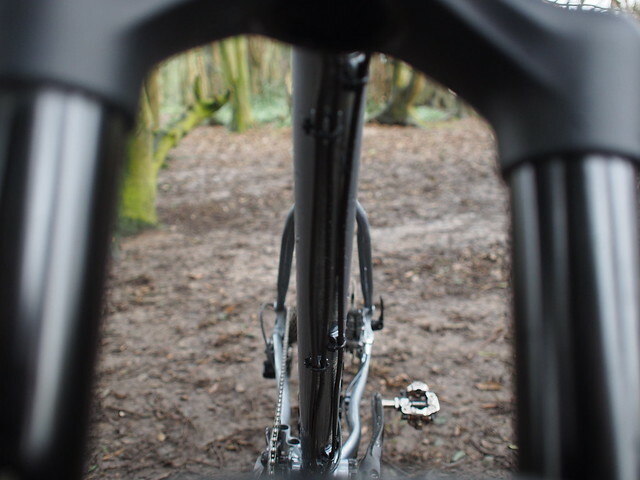 Even though some passed comment on the 44mm headtube looking a bit out of place, you can’t really argue with it though as it gives you the flexibility to fit pretty much whatever fork you want and if you’re building it up from a frameset it’s great to be able to fit what you want. It pumps and flows its way down the trail with ease and feels really sure footed.